When it comes to improving the overall appeal of one’s yard, size doesn’t really matter. You can have the largest property but it could still look bland if you aren’t creative enough. Likewise, a small yard could be fantastic if you put it enough time and effort. Check out these small backyard landscaping ideas. One easy way to make your small yard more appealing is to place some decorative containers. This is especially handy if you barely have any room to grow grass for landscaping purposes. What’s great about this is that you get to determine the color and texture of the containers. Apart from improving the visual look, the inclusion of containers can also serve to give you a sense of privacy. After all, containers do come in different shapes and sizes. You can set them up in a straight line or go for a random arrangement for a more natural look. 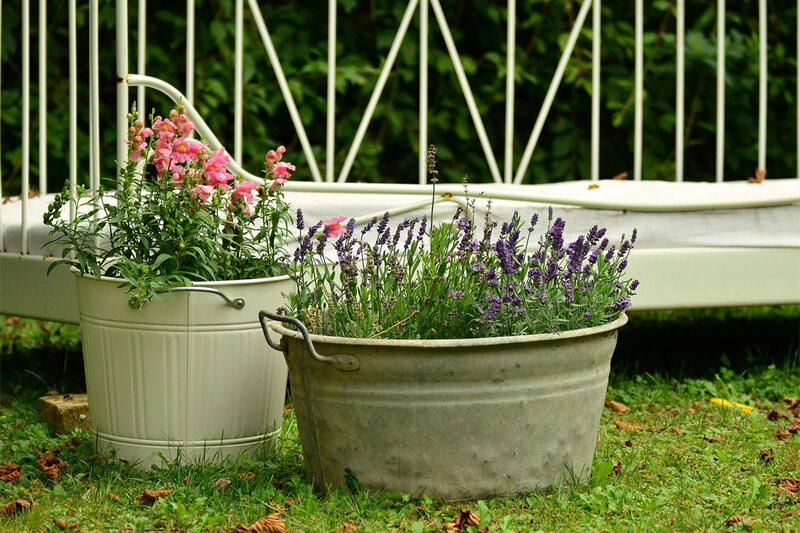 Some of the containers you can use include clay pots, galvanized containers, ceramic pots, and sizable urns. Small backyard spaces can easily benefit from baskets hanging from a roof, an arbor, or from trees branches. Hanging baskets are readily available at local gardening stores, but you may also create your own to save money. Just get any container and drill some holes at the bottom section for ample drainage. Get some rope or any other material to keep them above ground. 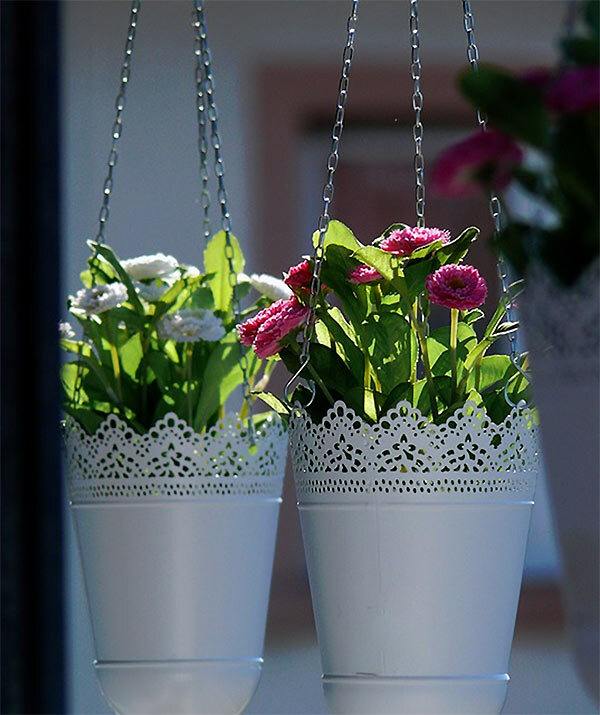 These hanging baskets can be filled with flowers such as pink geraniums, blue lobelia, and impatiens. This landscaping idea makes the most out of a given space to help you grow flowers and vegetables alike. 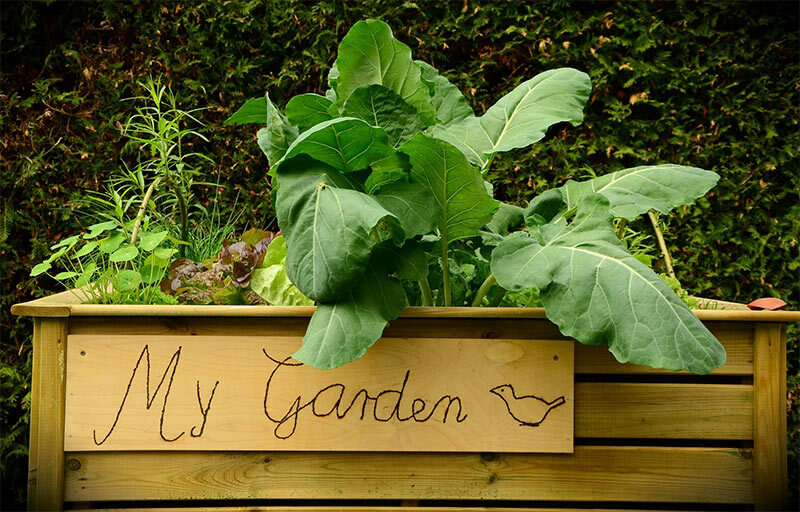 Also known as garden boxes, these beds are an excellent way to keep your plants away from pesky weeds and pests. Plants grown here won’t quickly succumb to cold temperatures since the soil here gets warmer faster than those in the ground. Moreover, the soil here isn’t compacted since beds generally have proper drainage. 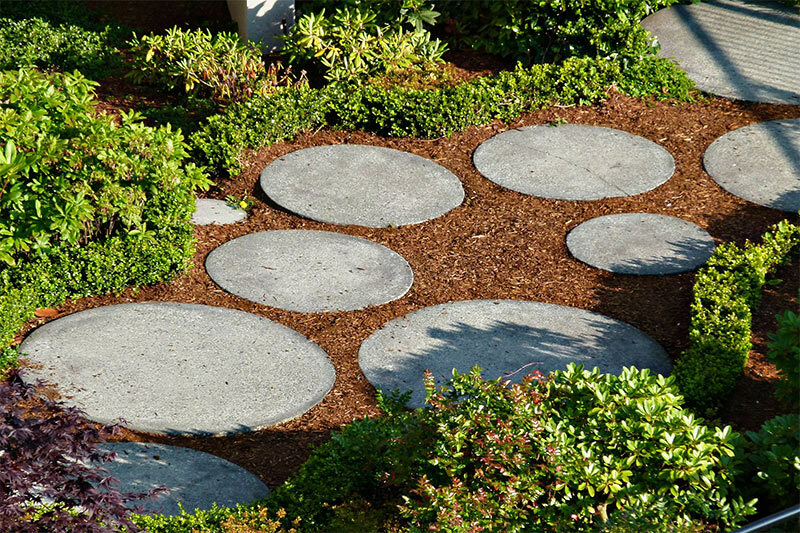 One of the best ways to make your small backyard look bigger is to have a pathway. The visual form a garden path forms a sense of depth and distance. There is a variety of garden path ideas for you to consider. Some prefer using stepping stones and rectangular pieces of wood. Others cover the paths with gravel or pavers. 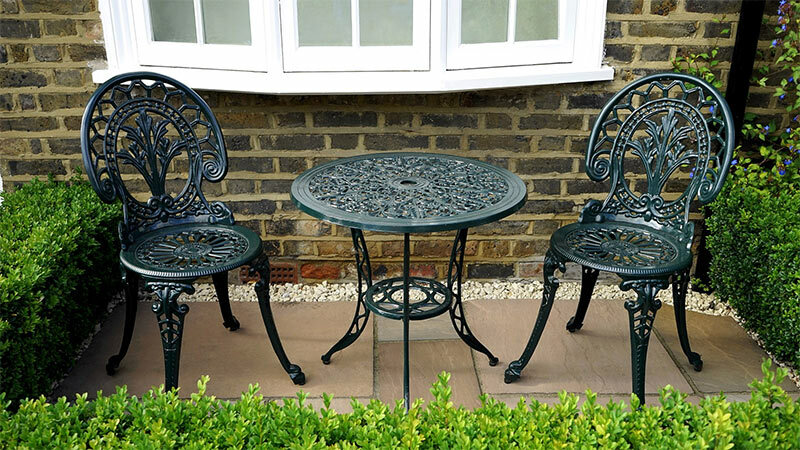 A limited space shouldn’t stop you from adding some pieces of furniture in your yard. However, you should utilize those that serve more than one function. For one, you can place side tables that not only serve as extra seats but also as a place for herb containers. Get a folding table so that you and your family can still dine in the yard without feeling cramped. Similarly, pick lightweight chairs and benches that have storage spaces below the seating space to keep cushions, pillows, and even gardening tools. 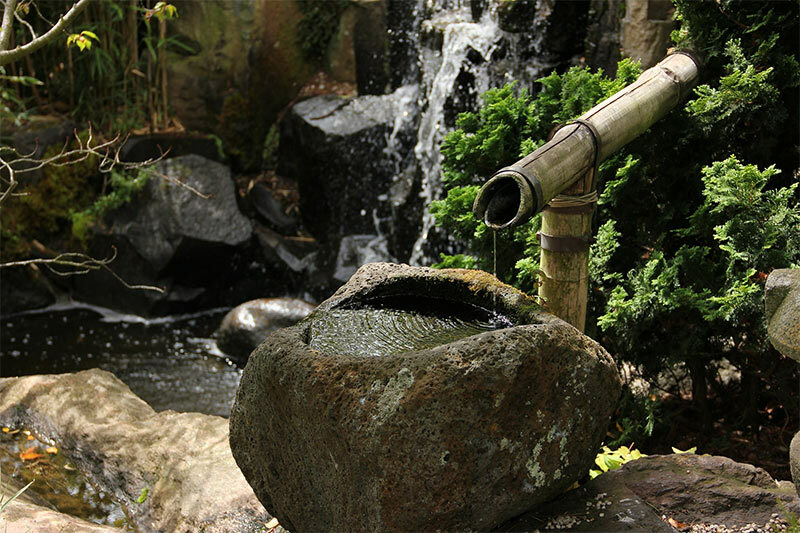 A small backyard can have a water feature as the central attraction. These features shouldn’t take as much space as a group of trees or shrubs to give an added color and texture to your property. A compact fountain featuring running water should interest visitors. Similarly, the corner of your small yard can be decorated with a rock waterfall. If you’d like to have some fish around, dig a small pond. You can even place some lights under the water to keep your yard colorful in the nighttime. In conclusion, you shouldn’t lose hope if you have a small yard. Creativity is all that matters in improving the landscape. We hope that our list inspired you to enhance the appeal of your yard. If you have any queries, do send us a comment.